The Mac’s desktop dock—you know, the strip of apps sitting at the bottom of your Mac’s screen—is one of those features that’s only handy…oh, about ten percent of the time. For example, when I need to jump to my Mail app or launch iTunes, it’s great: I simply move my mouse down to the Mac dock, click the appropriate icon, and I’m all set. More often than not, though, the dock merely seems to be in the way, obscuring the bottom of web pages, bulging upward whenever my mouse strays too close to the bottom of the screen, and generally distracting me from the task at hand. Wish you could keep the Dock hidden until you really need it? Just check this box. But here’s the thing: if you wish, you can actually make the dock disappear from your desktop until the very moment you need it. 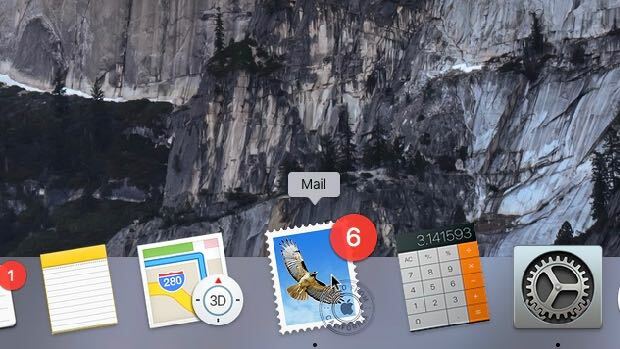 Click the Apple menu in the top-left corner of your desktop, click System Preferences, then click the Dock icon. 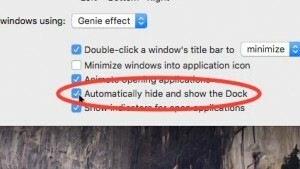 Near the bottom of the window, check the box next to “Automatically hide and show the Dock.” When you do, the dock will disappear from your desktop. Move your mouse down to the bottom of the screen—and just as you touch the bottom, the Mac dock will slide back into view. Go ahead and click an icon just as you normally would. When you move your mouse up and away from the bottom of the screen, the dock will slink back into its hiding place. Want to move the dock to the left or right side of the screen? Click the Apple menu, select System Preferences, click Dock, then pick an option from the “Position on screen” setting: Left, Bottom, or Right.